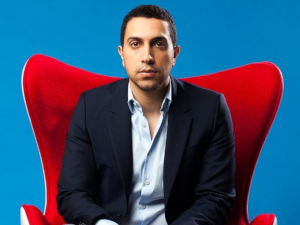 Sean Rad, Tinder co-Founder and former CEO, claims in a lawsuit that he was forced to sell his shares of Tinder stock by parent company IAC (now Match Group) under pressure of being fired. Because of this, he and other Tinder employees potentially lost millions of dollars through an alleged stock devaluation. According to an article in The Verge, Rad says he was forced into exercising his options early, about a month before he was fired in September 2017. He says he felt pressured to sell because those options would expire after he left the company, and he suspected Match Group of planning his ouster. As it turns out, Match Group did fire him a month later, even though it wasn’t publicized at the time. Rad joins nine other former and current Tinder employees in filing the lawsuit against Match Group. One of the plaintiffs also claims she was sexually harassed by former Tinder CEO Greg Blatt. Match Group is also being investigated by the former attorney General of Louisiana Charles Foti of Kahn Swick & Foti, LLC for alleged violations of state or federal law. The law firm distributed a press release asking for assistance from anyone who has knowledge of Match Group or has been a long-term shareholder. “KSF’s investigation is focusing on whether Match’s officers and/or directors breached their fiduciary duties to Match’s shareholders or otherwise violated state or federal laws,” the release said. Shares of Match Group fell 2.6% immediately after the lawsuit was announced.